The Pipedrive team is pleased to announce that we have secured a further $10 million from new investor DTCP (Deutsche Telekom Capital Partners) in addition to the $50 million we announced in June. Our new partnership with DTCP will fuel our expansion to support even more sales teams in Germany and across Europe. This investment brings our now completed Series C round to a total of $60 million, including funding from new investor Insight Venture Partners, and existing investors Bessemer Venture Partners, Atomico, and Rembrand Venture Partners. The team at Pipedrive have been busy practicing what we preach. Pipedrive just raised another sixty million dollars. It’s a big deal for us. And it‘s a big deal for anyone looking to drive fast growth for their business. We have an incredible opportunity to help salespeople across the globe find, manage, and close even more deals. That’s why this news is so inspiring for me, for our 400-strong Pipedrive team, and for everyone out there with something to sell. This is one of the most exciting times in Pipedrive history. 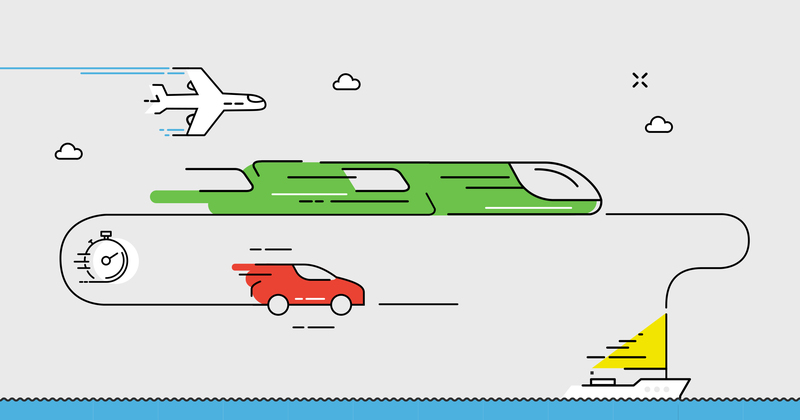 From our birthplace in Tallinn to our offices in New York, Lisbon, and London - all of us are ready to take Pipedrive to the next level. Sixty million is a lot of dollars. We can do so much more to grow the Pipedrive business and improve the Pipedrive product. As well as funding, our new and existing investors bring priceless value with diverse expertise and a shared spirit for building game-changing products. But I also have a debt of gratitude to repay. I owe 75,000 Pipedrive customers a massive thank you. I’m going to keep trying to repay this debt of gratitude each and every day I walk into Pipedrive. But I want to make the first down payment right now. We closed a $60 million Series C round of funding. The original $50 million deal announced on June 14 was led by a new investor, Insight Venture Partners and our existing investor, Bessemer Venture Partners, with additional participation from two more of our existing investors - Rembrandt Venture Partners and Atomico. In October, we announced an additional $10 million raised from new investor DTCP (Deutsche Telekom Capital Partners), bringing our Series C funding to a total of $60 million. I’m proud these investors have shown such faith in our ability to succeed in our mission to arm salespeople around the globe with the tools they need. The entire Pipedrive team worked damned hard to earn every cent of this funding. But our customers helped us earn this funding too. To each salesperson that uses Pipedrive every single day to supercharge the growth of your business – you helped us prove Pipedrive is worth this $60 million investment. I know how hard it is to take the plunge and try a new sales CRM. Switching your CRM is a big decision. Trying a CRM for the first time is just as significant. You shouldn’t have to settle for a CRM designed for complex reporting while your sales team suffers the burden of so much extra admin added to their day. You can’t afford to rely on spreadsheets and force your salespeople to prioritize and manage their own sales process. Pipedrive customers are the optimists. You need to grow fast and you aren’t prepared to settle for second best. You continue to inspire our mission to build a CRM designed by salespeople for salespeople. My co-founder Urmas and I worked in sales for over a decade. We were just two more of those reps forced into using annoying technology that sucked time away from selling. That’s why we developed Pipedrive. We wanted to create a tool that salespeople would actually want to use. We are passionate in the belief that salespeople need a simple, easy-to-use CRM that prioritizes their activities, minimizes admin, and allows them to focus on what they do best - selling. And we know exactly how hard it is to hit the pavement, the phone, or the keyboard and close a deal. I want to give each and every one of you legendary Pipedrive users a nudge to keep pushing through those countless rejections and to keep smashing those quotas. But I had to settle on a thank you note instead. Even though I’d love to go on a world tour to visit all of the 75,000 businesses using Pipedrive across 170 countries, I’ve got a bunch of work to do and you’ve got a pipeline full of deals to close! This funding will be used to help every Sales Rep, Biz Dev Manager, CEO, Founder, and Business Owner who believed there was a better way to manage sales. You share the belief that the dealmakers in your business need something better than a few messy spreadsheets or complicated tech designed for number-crunchers. Your hunger for faster growth and your optimism for a better solution gives us the inspiration that continues to drive us every day. We can help you make selling easier, but you still have to close those deals. 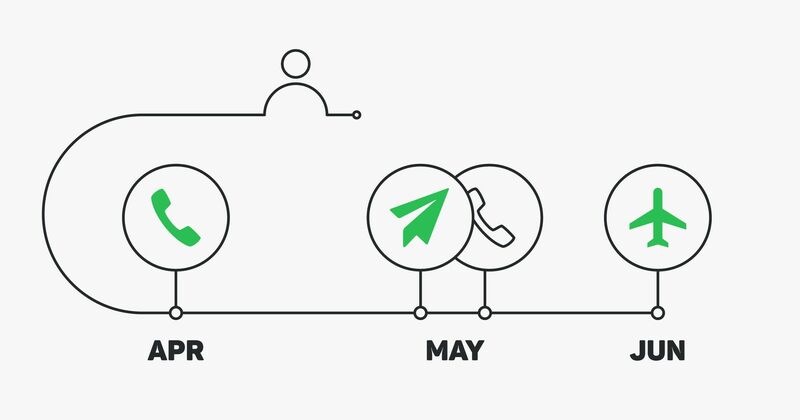 After spending so many years of my life pounding the pavement doing door-to-door sales, copping rejection after rejection, I’m so proud that Pipedrive has an important part to play in hitting your sales goals. To each and every sales pro using Pipedrive - I want to give you one last sincere thank you from me personally, and from the entire team at Pipedrive. We also need to thank our 100+ outstanding integration partners. So many popular business tools like Google Apps, Trello, Zapier, MailChimp, Yesware, and PandaDoc have partnered with Pipedrive to deliver the critical support sales pros need to customize their own unique sales process. We couldn’t have done it without you guys and we can’t wait to help even more of our partners’ customers to plug into Pipedrive and drive more sales. I won’t rest until we squeeze every ounce of value out of our investment to help you and your team. We plan to dedicate a significant chunk of this funding to research and development. We also want to explore all new opportunities to make the Pipedrive product even more robust and helpful for salespeople in fast-growing businesses. Now it’s my job to make sure we put this talk into action and deliver on the thanks and the promises I’ve laid out today. And as you can see, we’re ready to rock it. But in true Estonian fashion - it’s not time to celebrate just yet. We will show the type of grit, hustle, and determination shared by the salespeople who use Pipedrive to grow their business. To our legendary Pipedrive customers - get ready, Pipedrive is about to get even better. To the Pipedrive team - I'm proud of all of your efforts and I can't wait for us to take Pipedrive to a whole new level. To our investors - we’ll show you why we deserve your continued support. Oh, and to those of you who aren’t a Pipedrive customer yet - don’t you want to see what all the fuss is about??? Go trial the sales software that is driving fast growth for over 75,000 sales teams. Give your sales team the support they need to dominate your competition. It’s time for me to get back to work!